For our impromptu Summer Quilt Show, here are some more of the quilt show photos that were hiding in our camera. 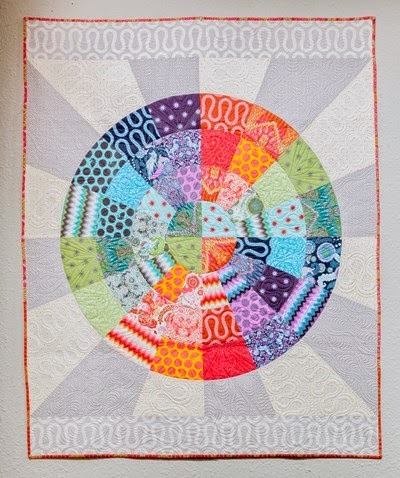 We are so glad we found them before the disk was erased! Honorable Mention winner for Best Pictorial Small Quilt, Patricia notes, "This quilt was inspired by a picture I had taken of this lighthouse. 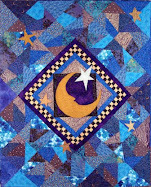 [Used] a fusible applique method and inks for shadows." 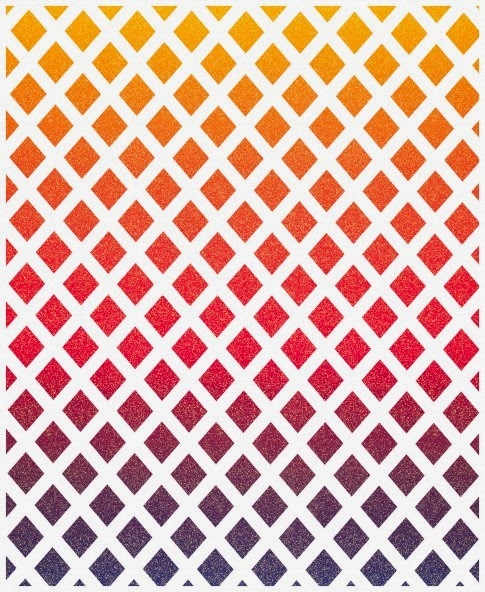 (Editor's note: The Trinidad lighthouse, on the foggy coast of northern California was put into operation in 1871 to assist ships navigate their way along the rocky coastline. 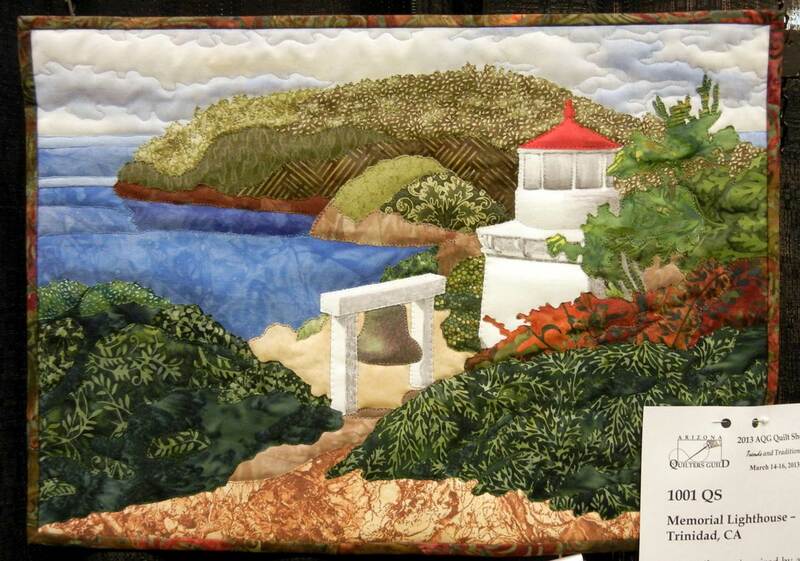 The large fog bell, actually 50 feet below the lighthouse, was regularly rung by striking it with a hammer). 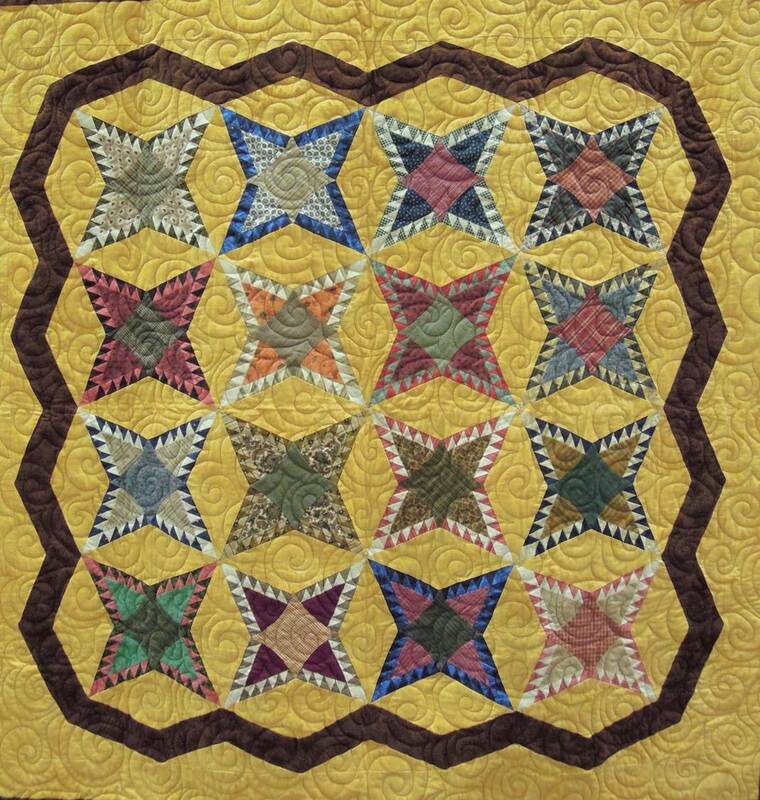 Nelly says, "This quilt is an old pattern with some personal modifications and done in flannel instead of cotton. 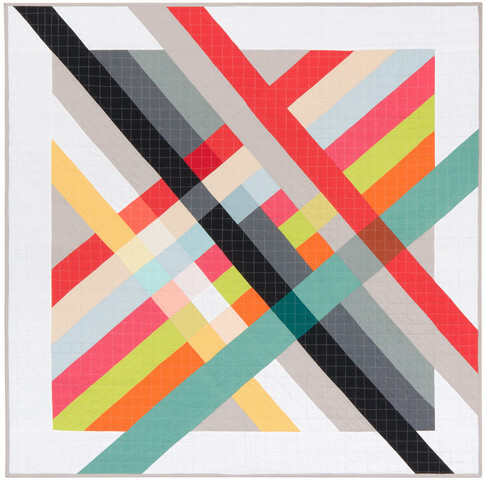 As a consequence, I consider that it represents tradition [one of the themes of this show]." 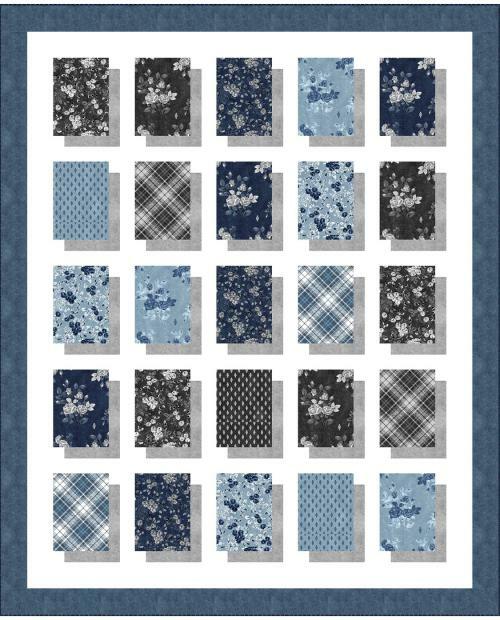 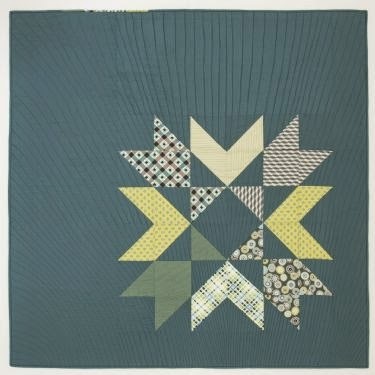 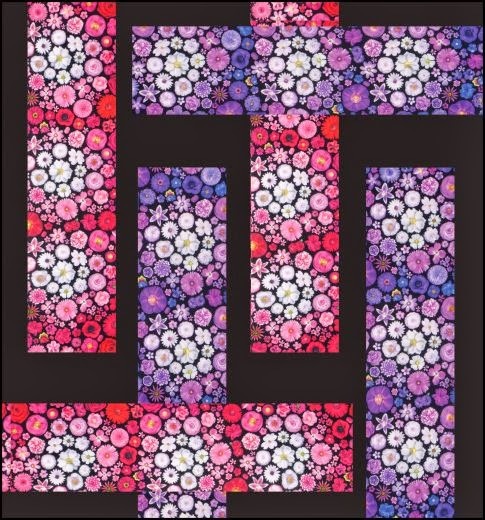 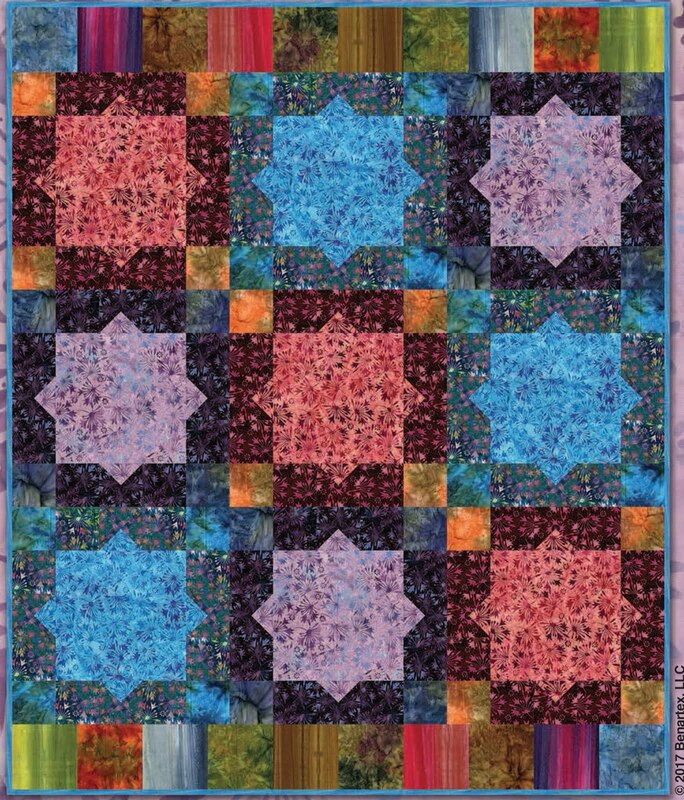 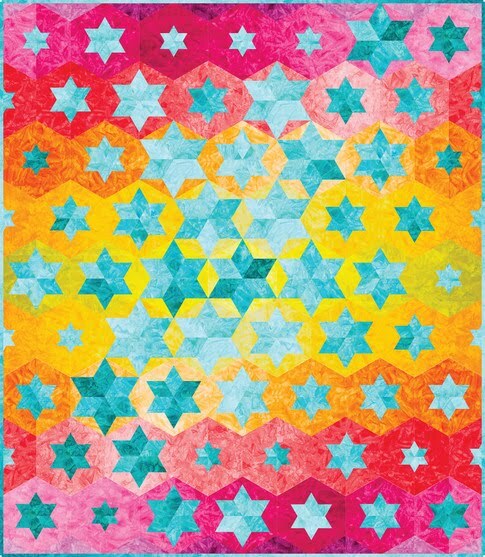 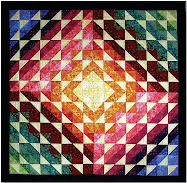 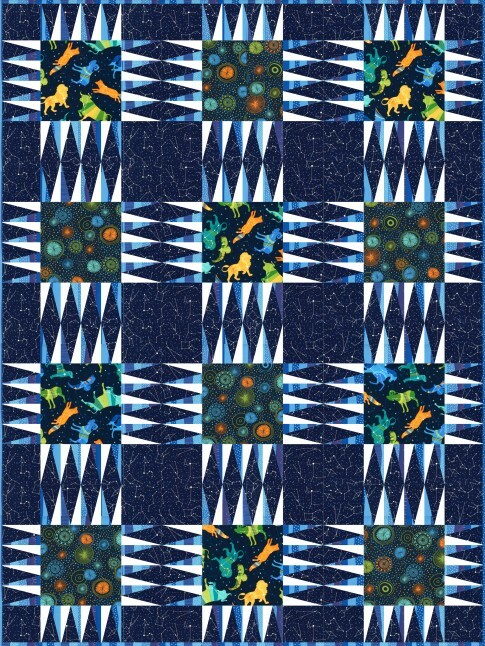 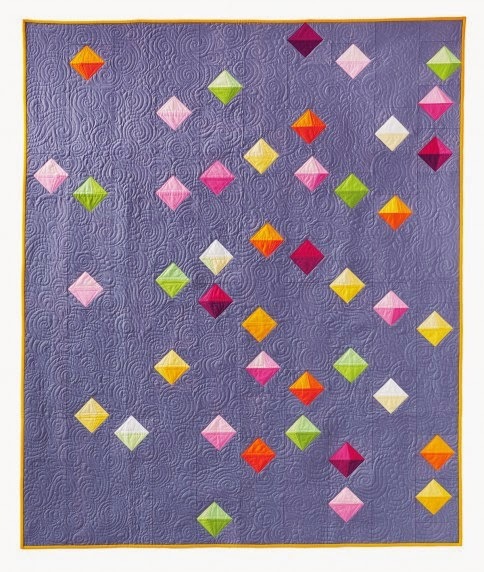 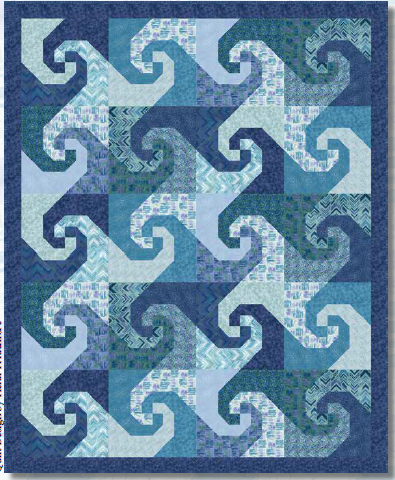 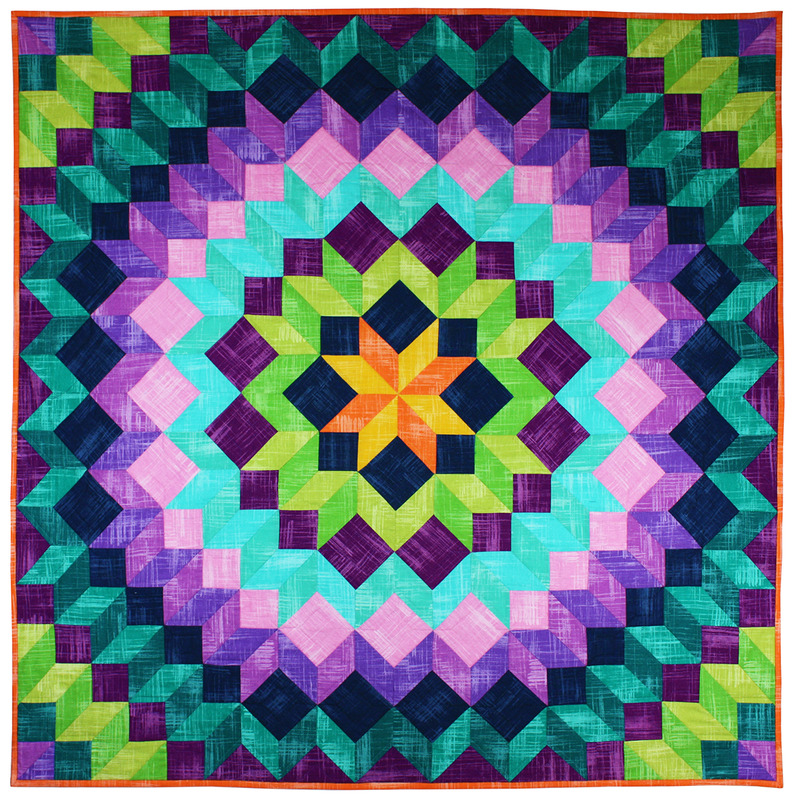 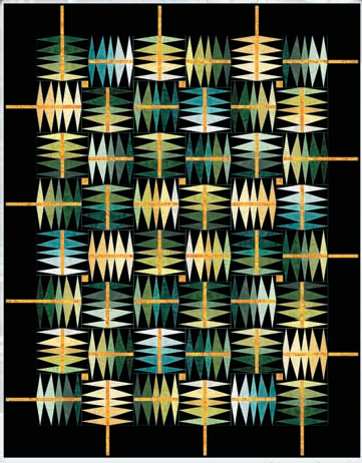 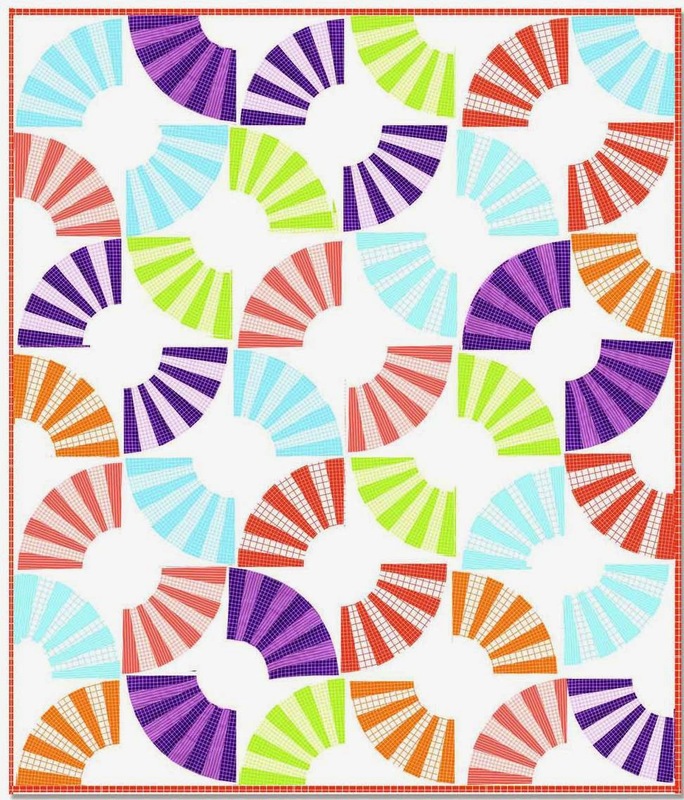 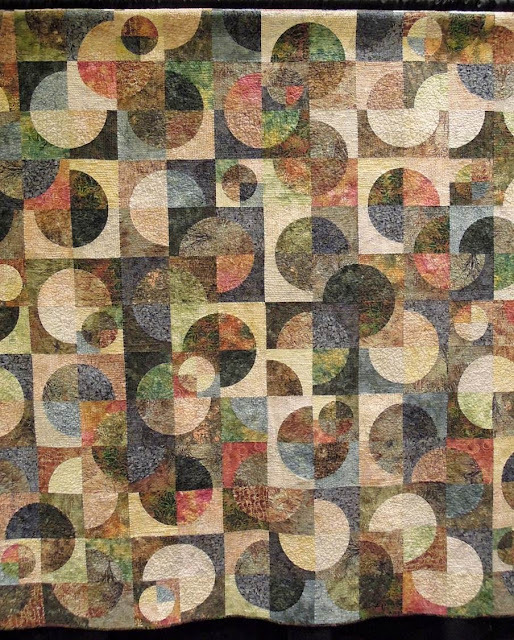 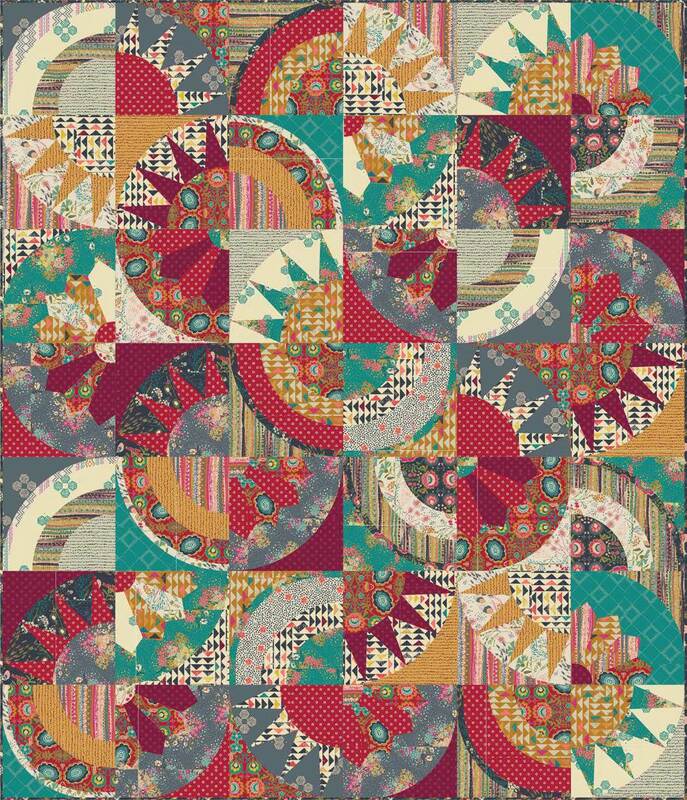 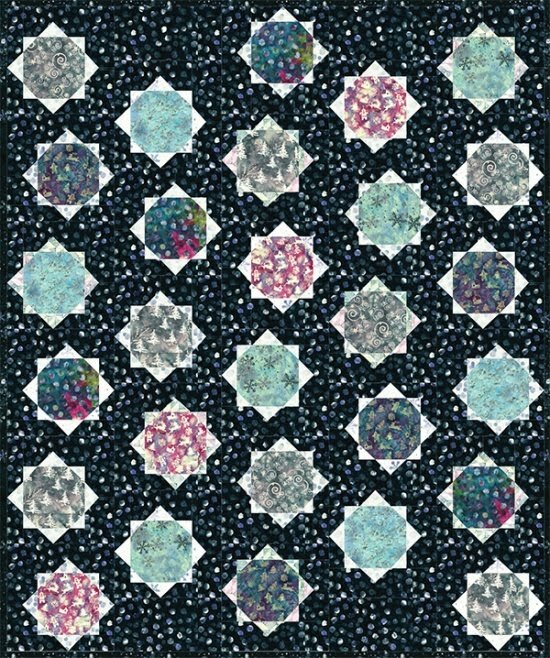 Beautiful spiral quilting provides a graceful contrast to the geometric patchword of the stars and diamonds design. 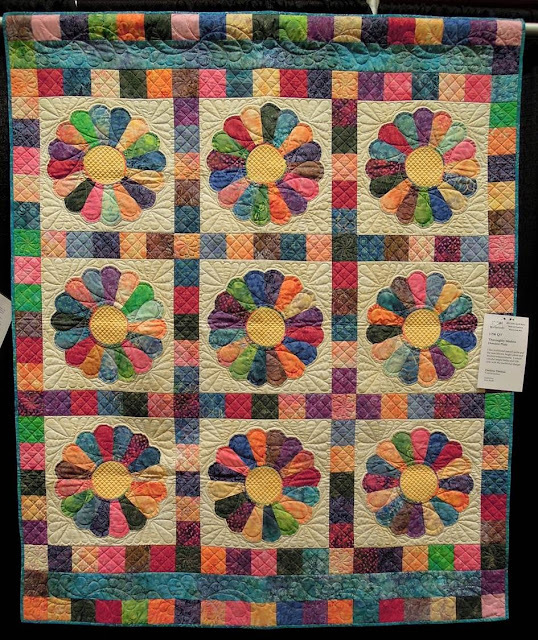 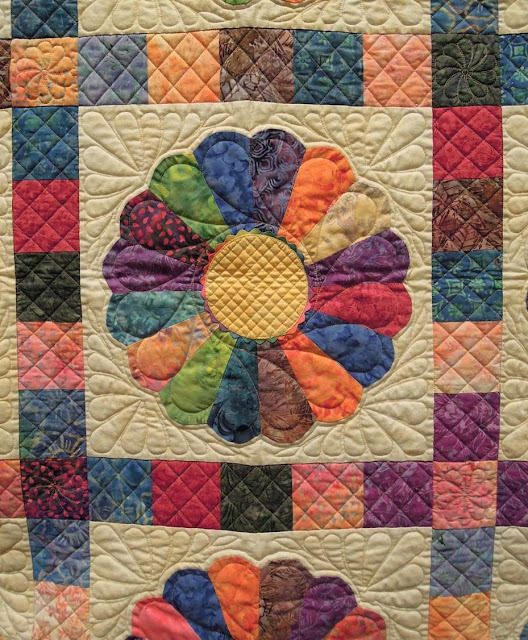 Second place winner in the Theme Category ( Arizona Trends and Traditions), Jane states, "My quilter is going on a shop hop in her Chevy truck to find the latest quilting trends. 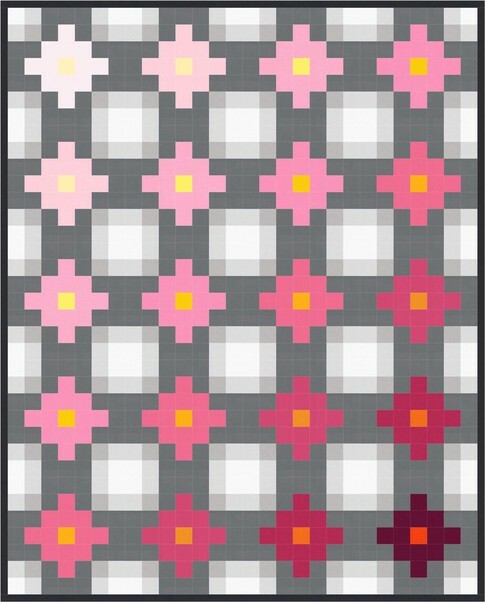 What will she find?" 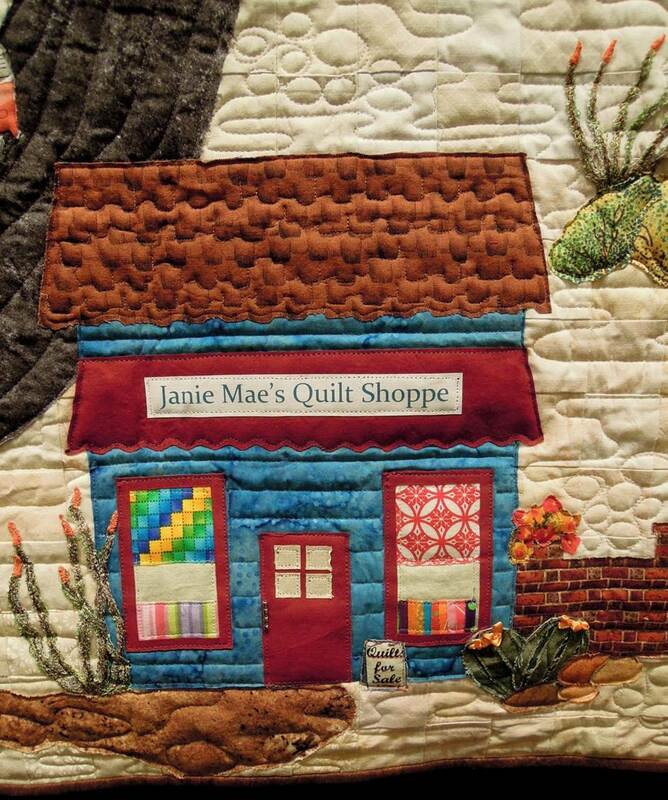 Jane's quilt contains an adorable collection of Arizona desert buildings, along with a miniature "Quilt Shoppe" whose windows are adorned with tiny patchwork. 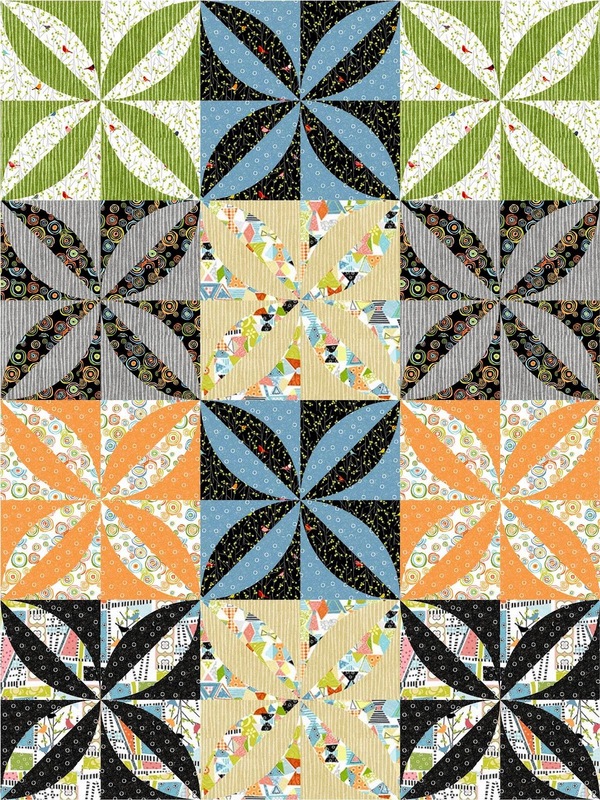 Also, take a look at the cute little schoolhouse on the left. 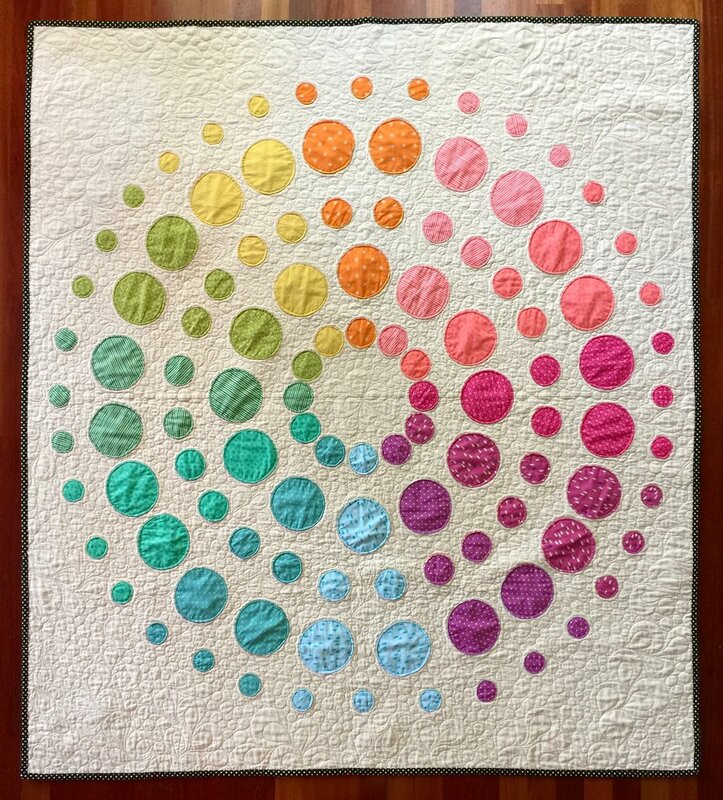 Jackie notes, [This was] an anniversary quilt for my daughter and her husband symbolizing marriage and family. 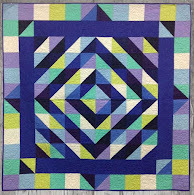 Large blocks are completed by the interruption and intersection of another block. " 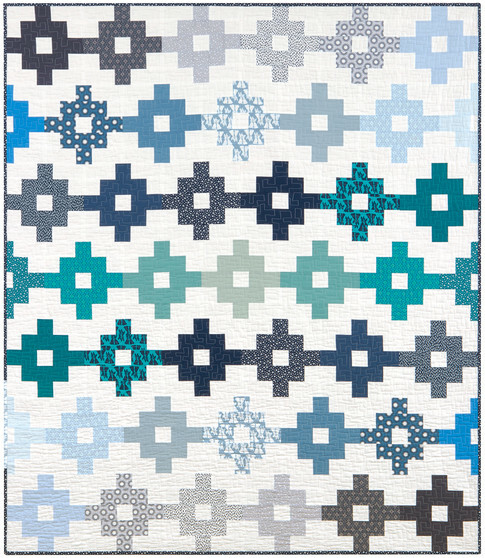 Done in subdued and hushed neutral tones, the colors of this quilt provide a restful, serene effect, creating a subtle nuance between light and shadow. 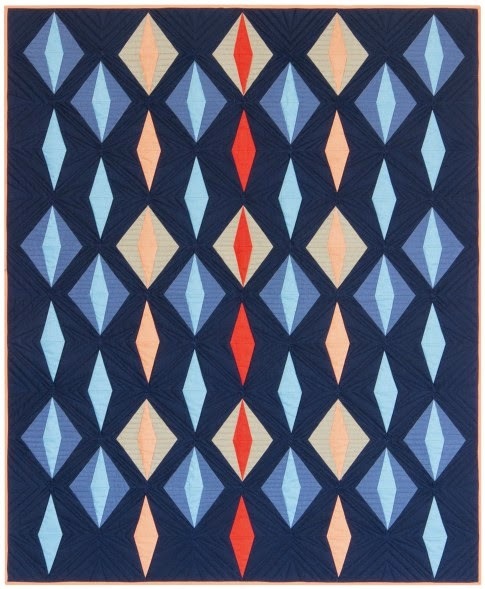 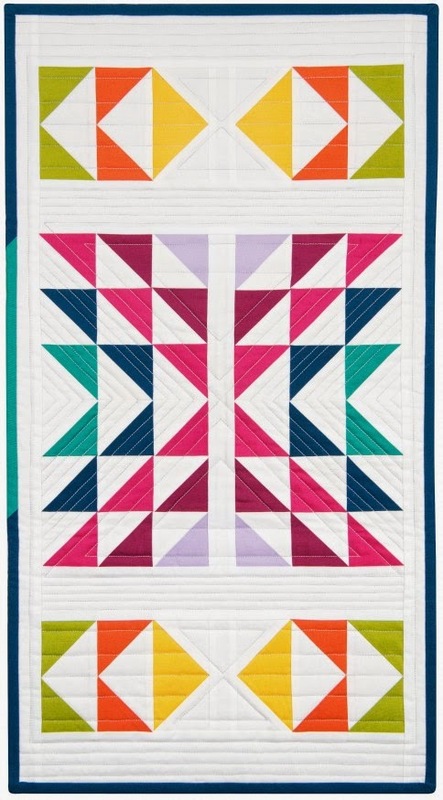 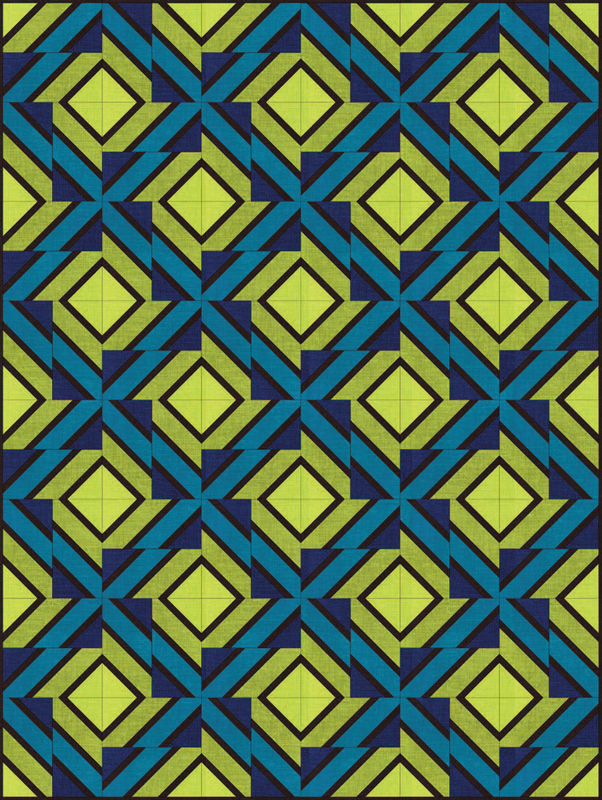 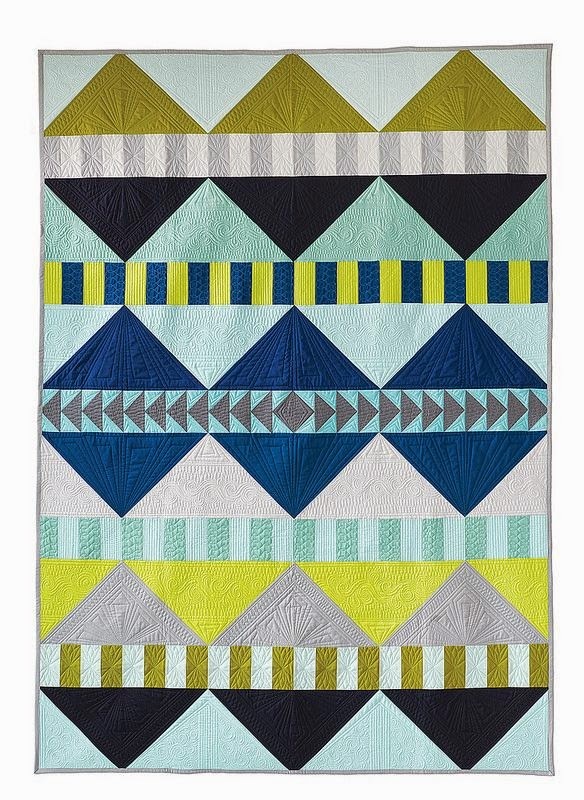 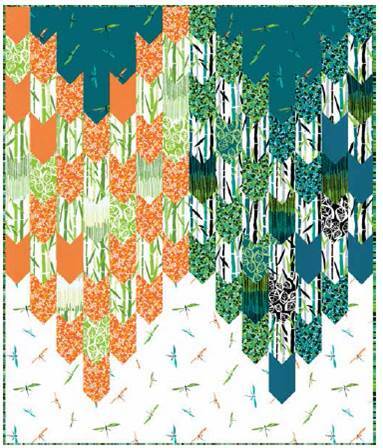 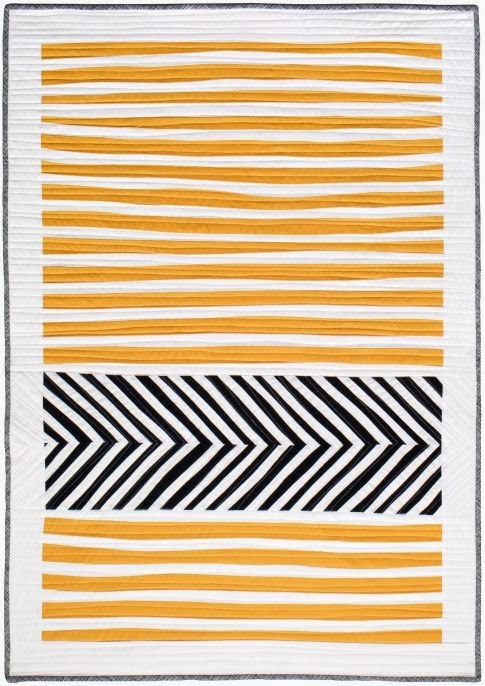 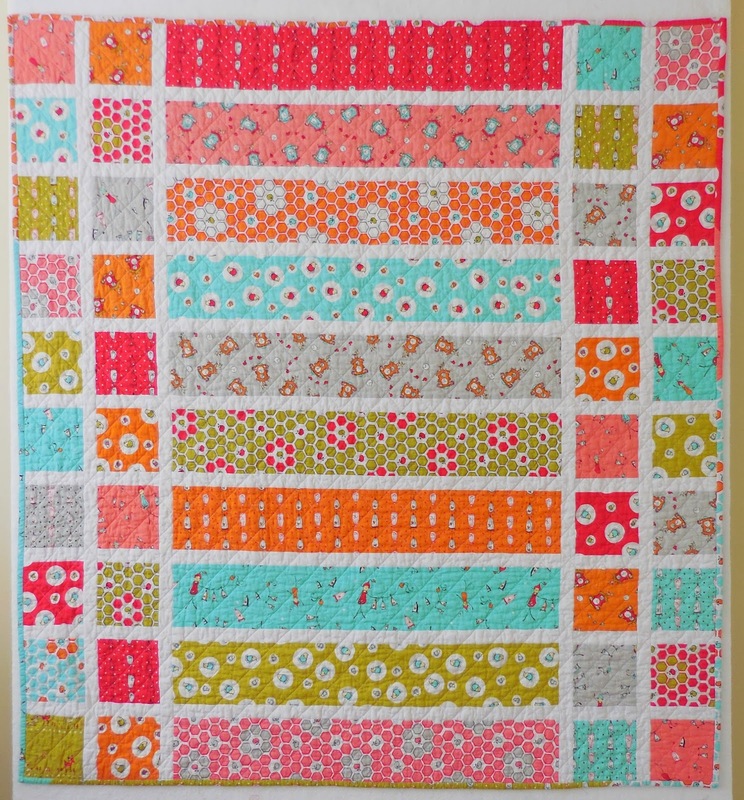 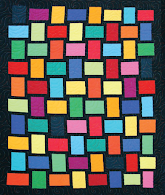 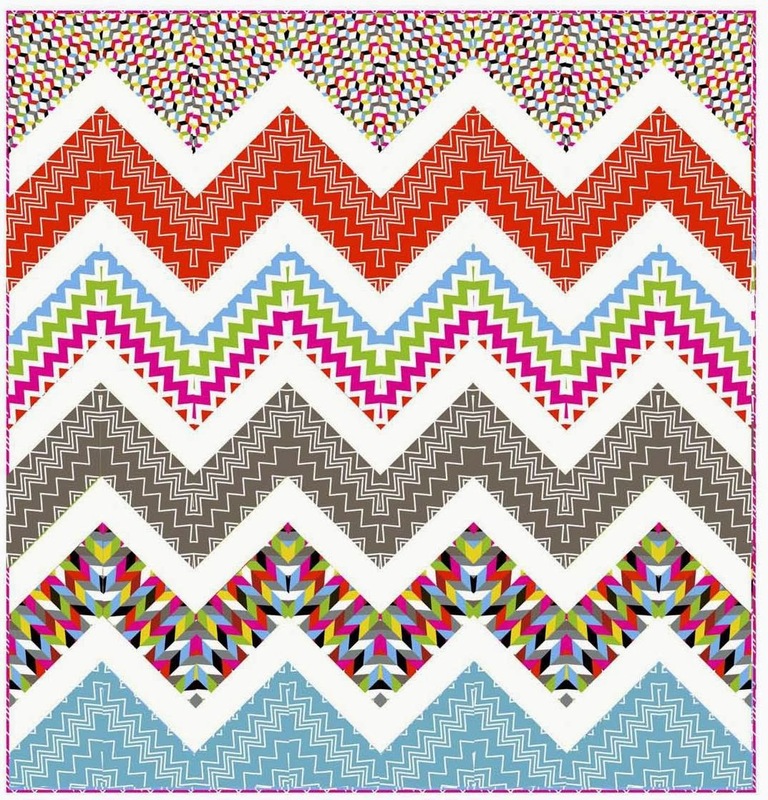 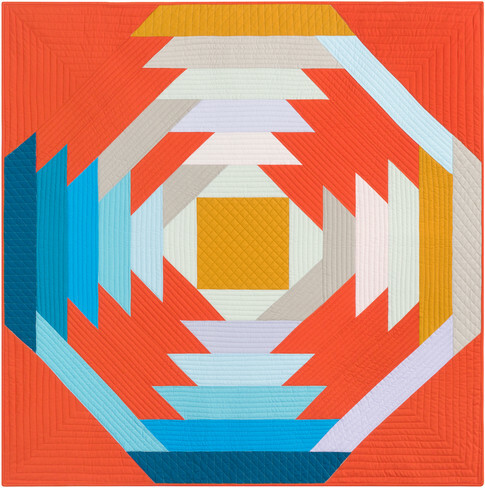 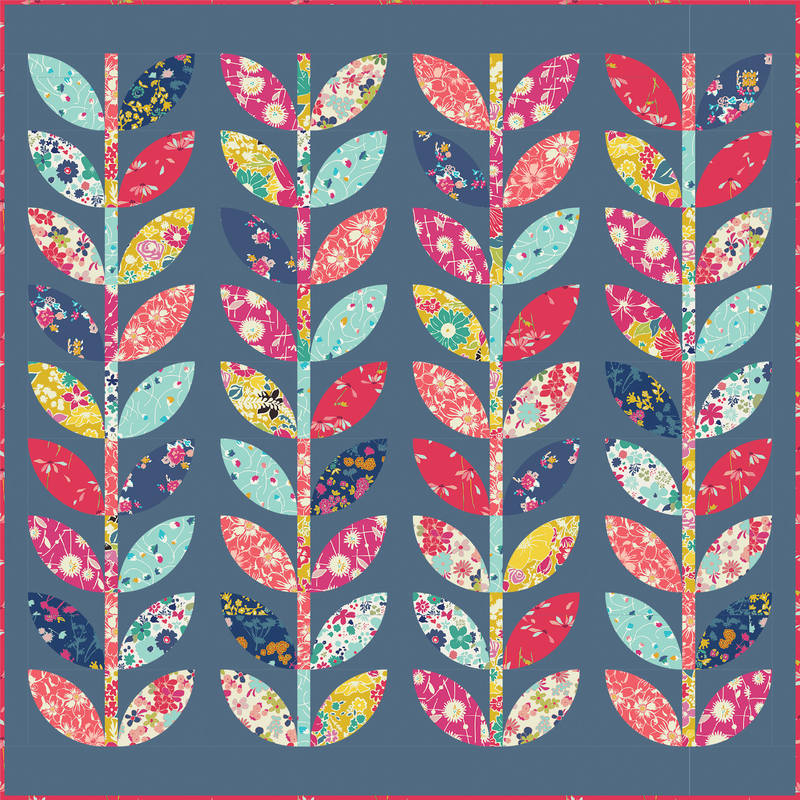 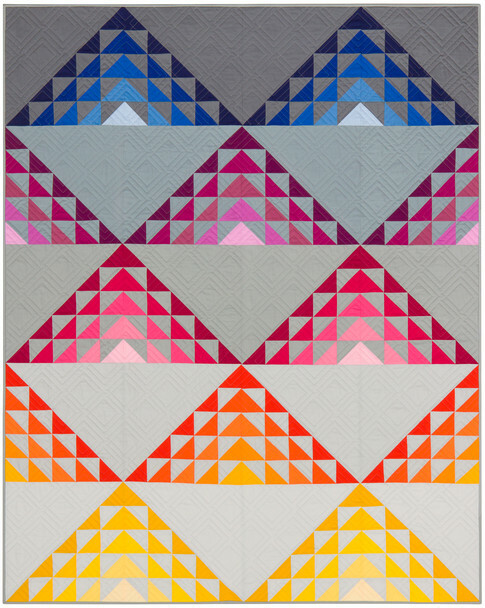 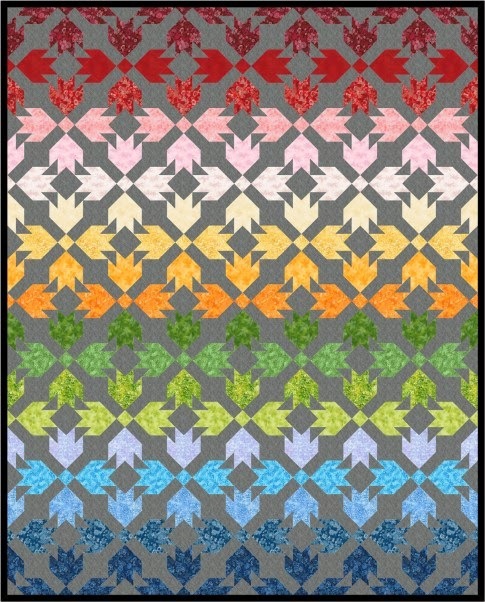 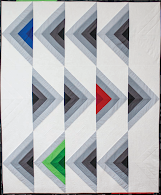 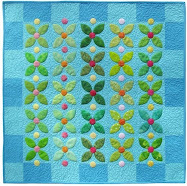 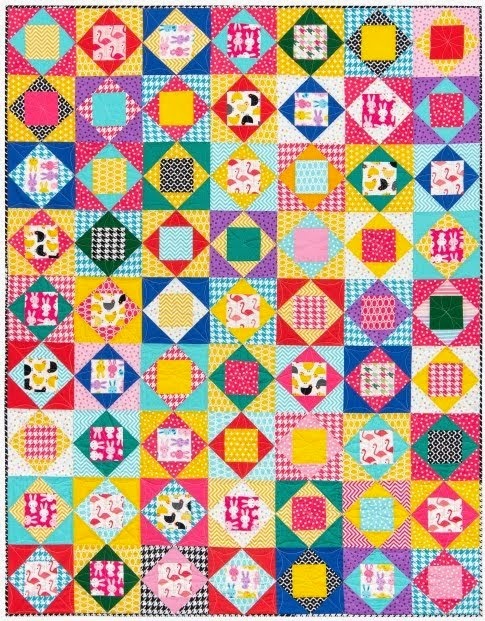 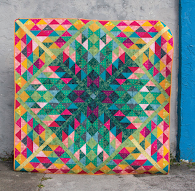 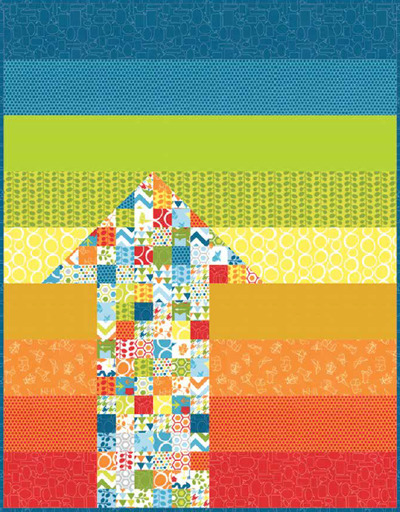 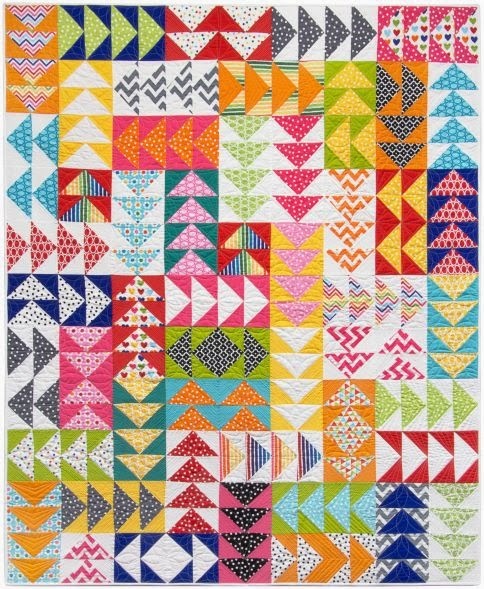 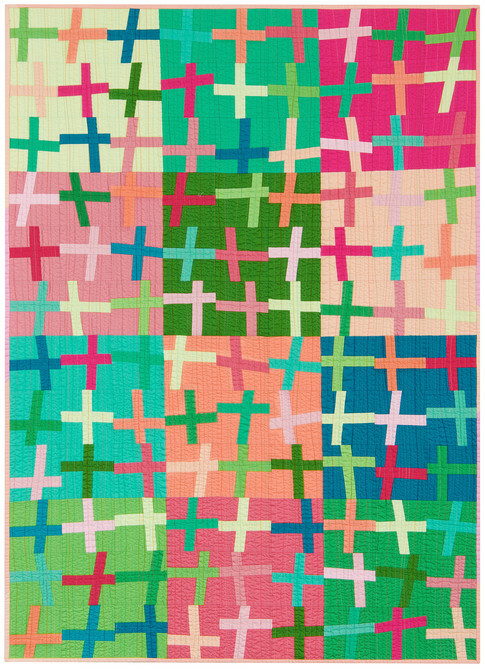 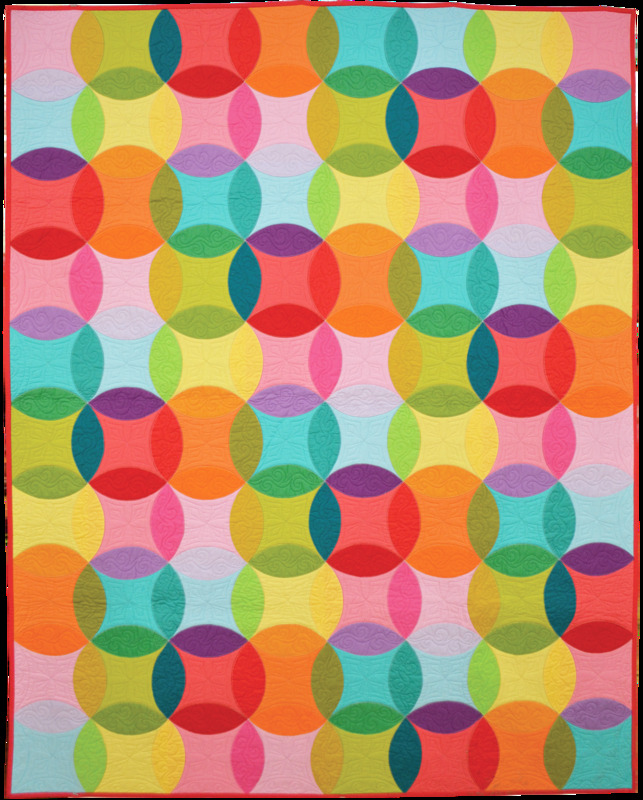 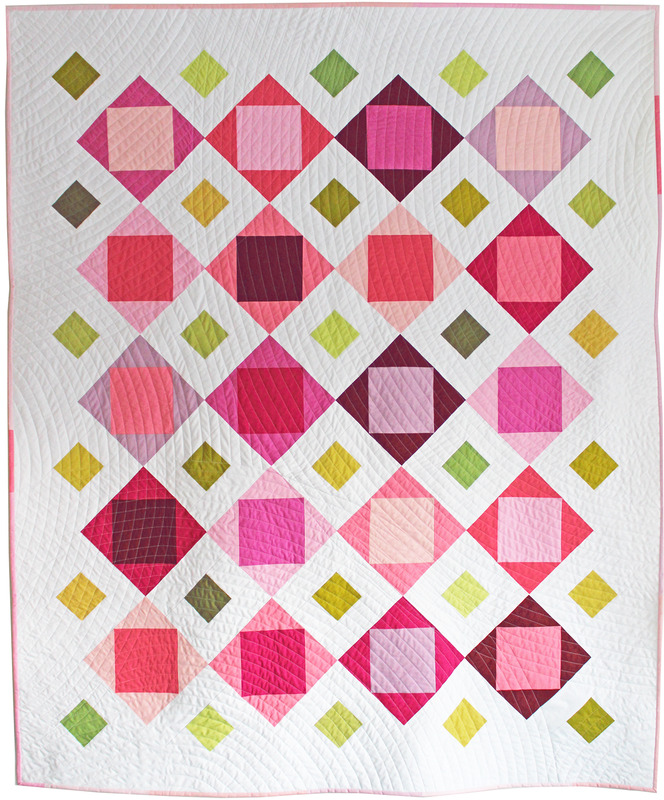 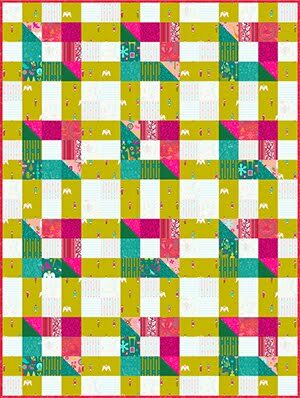 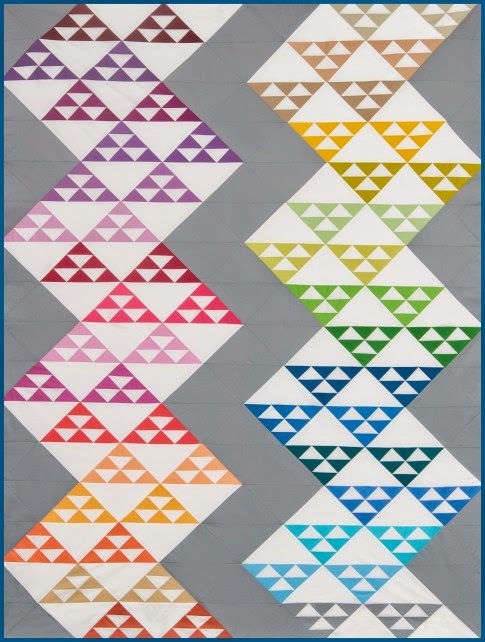 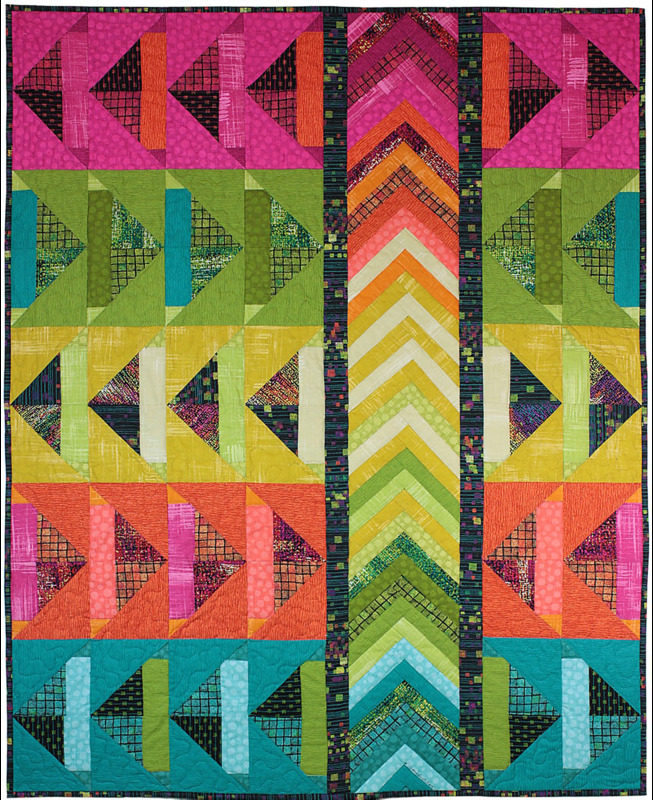 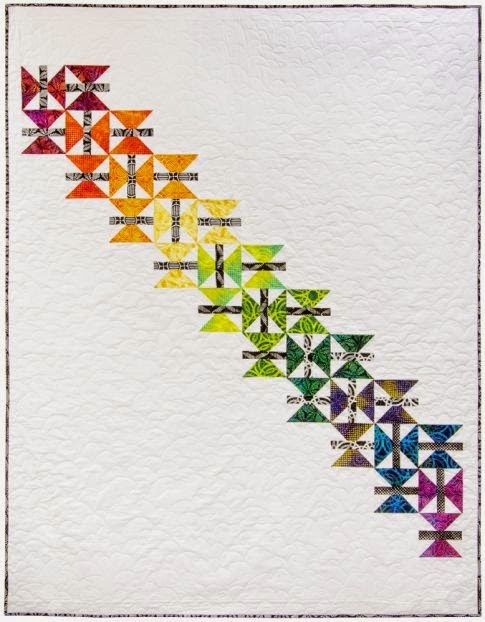 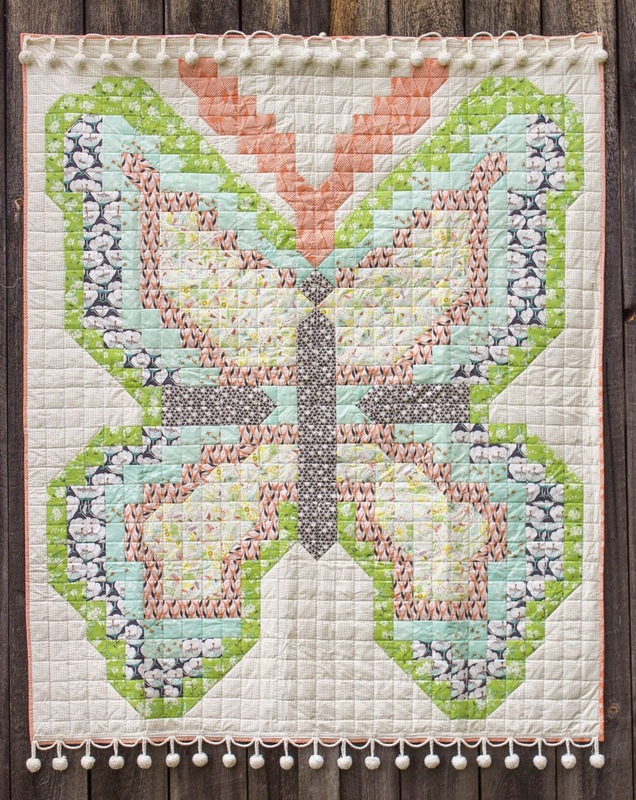 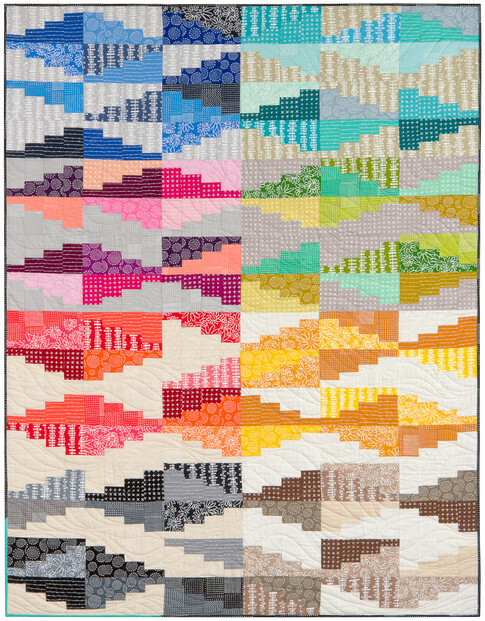 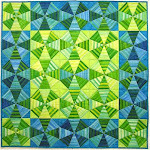 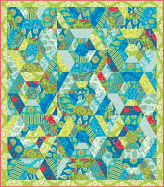 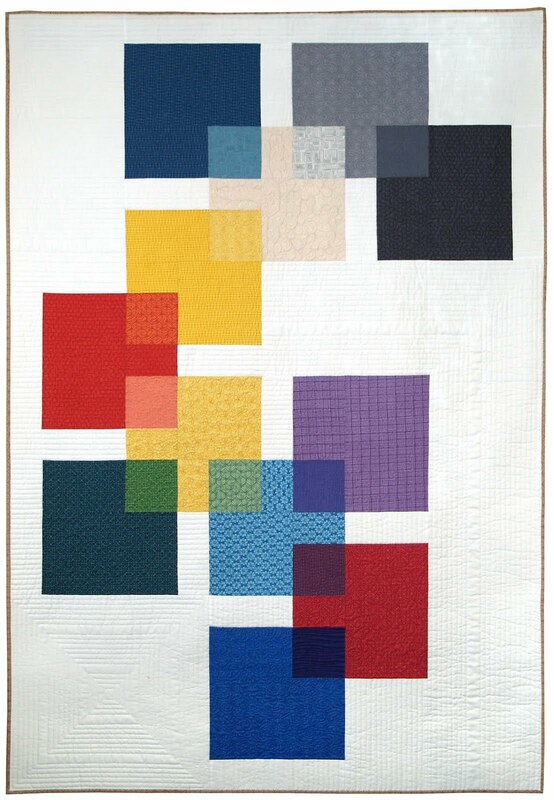 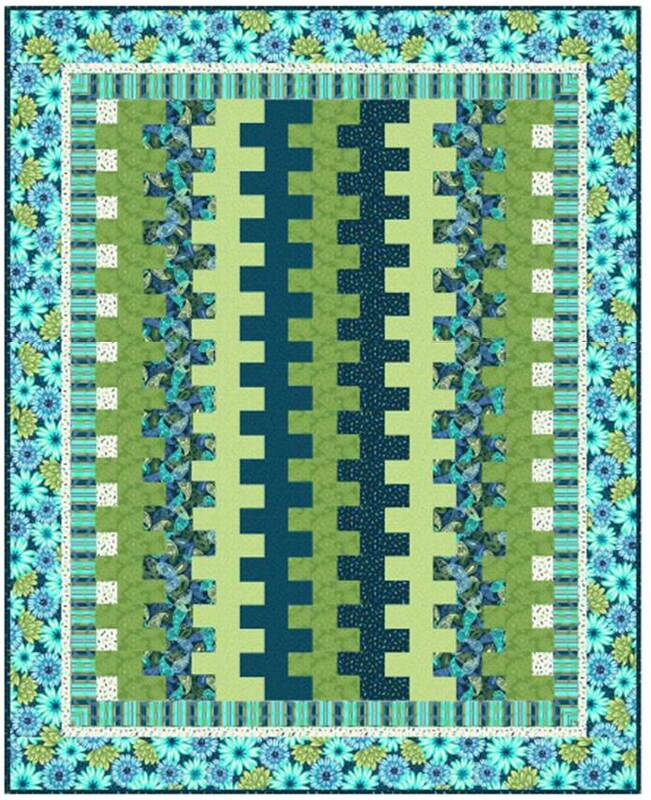 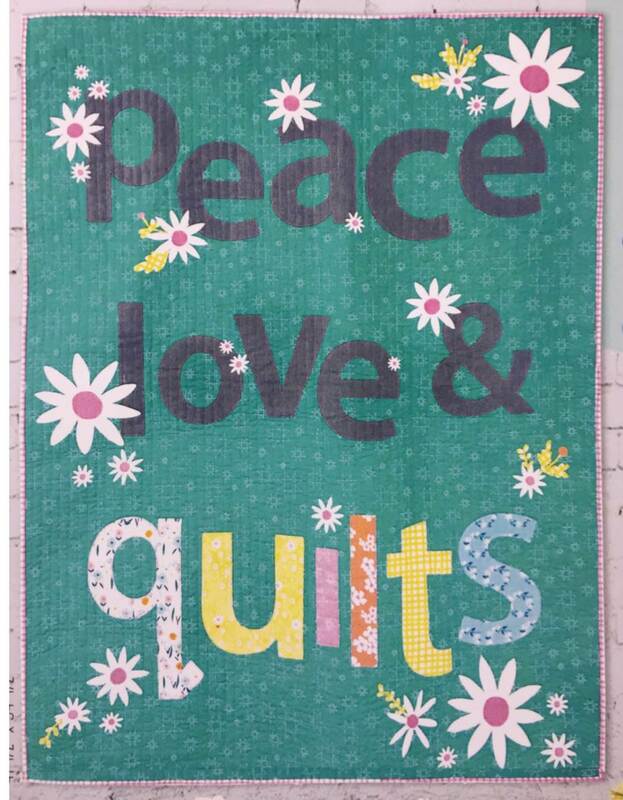 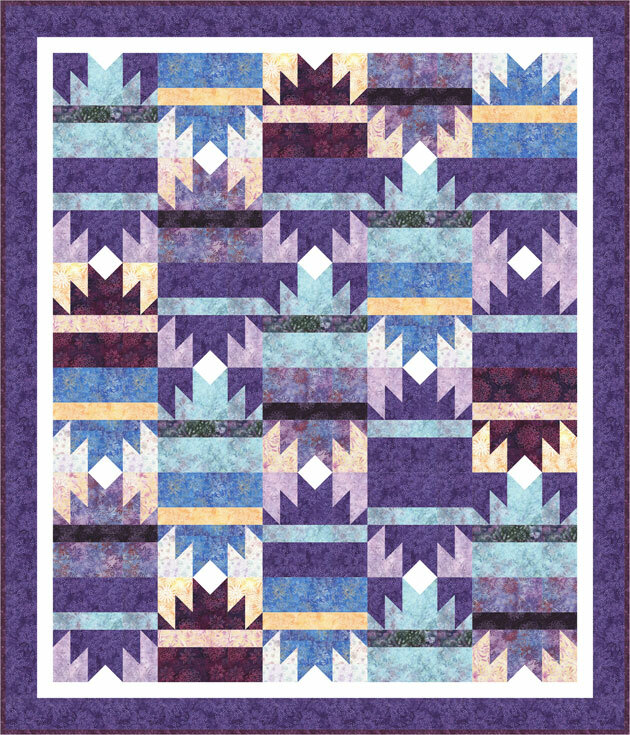 Darlene writes, "I like traditional pieced quilts and the new fabrics, bright colors, and modern enhancements. 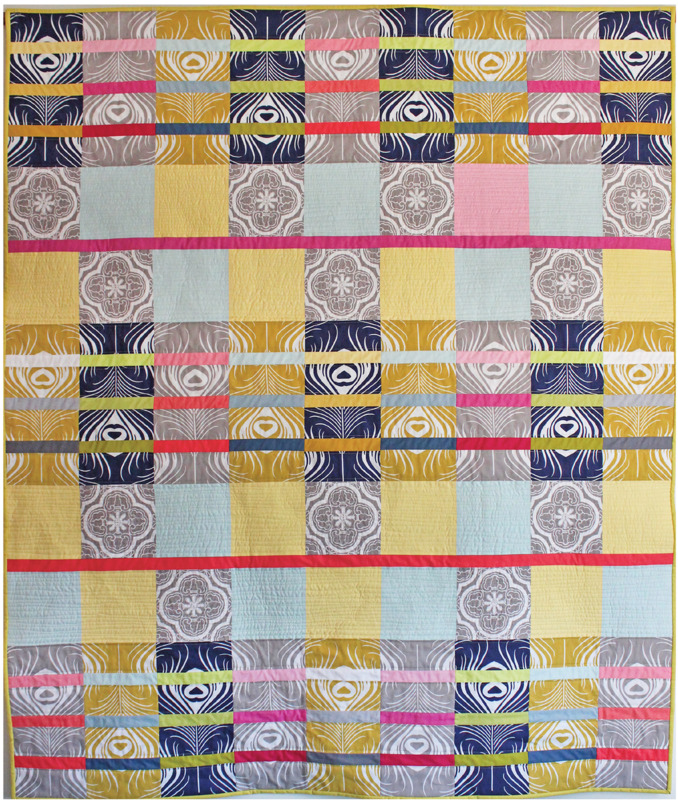 I mixed colorful bright batiks and rick-rack with the traditional design. 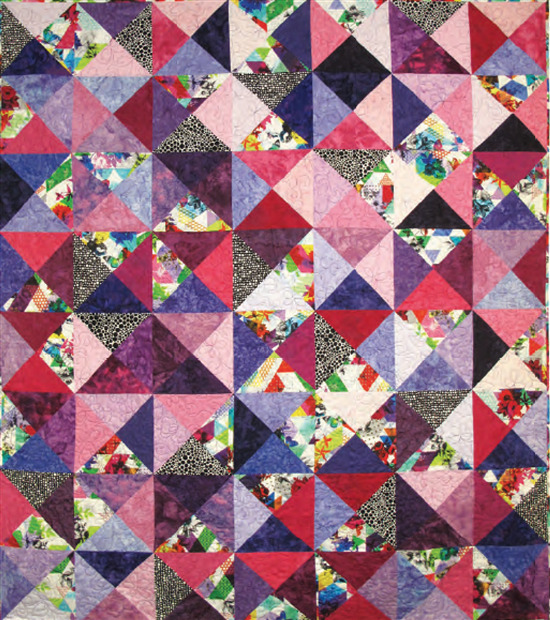 Notice the very cheerful pieced sashing, which enhances the analogous color scheme of the plates, done in rose pinks, light burgundy tones, violets, and coral pinks. 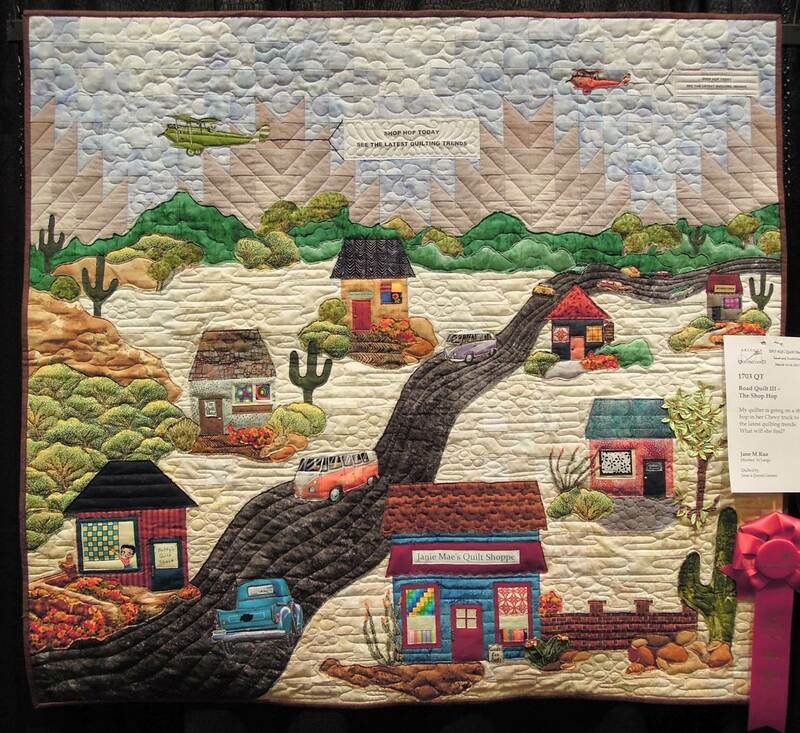 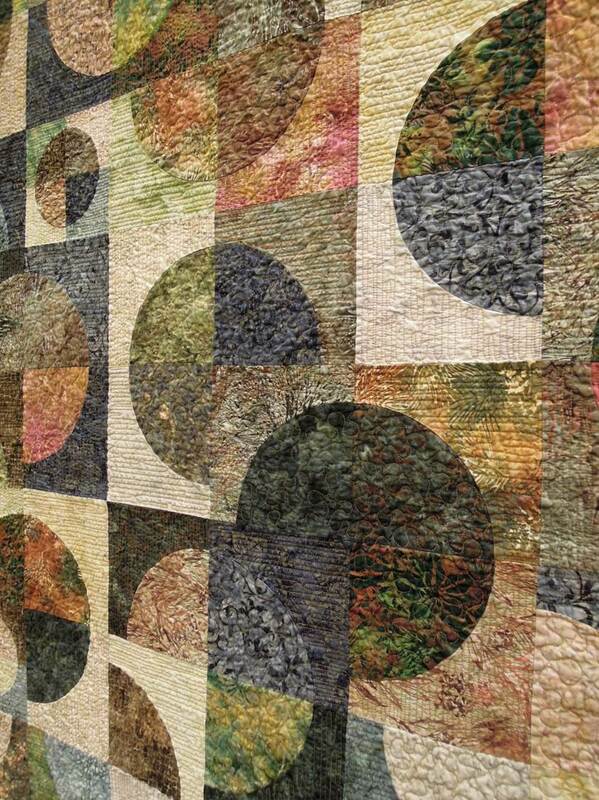 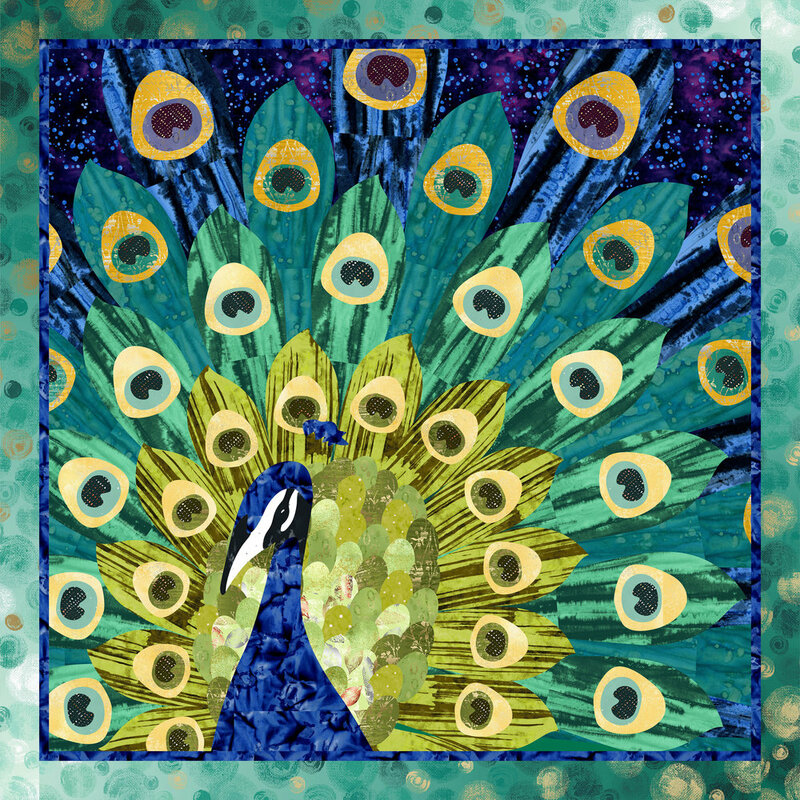 Image credits: All photos were taken by Quilt Inspiration at the 2013 Arizona Quilters Guild show. 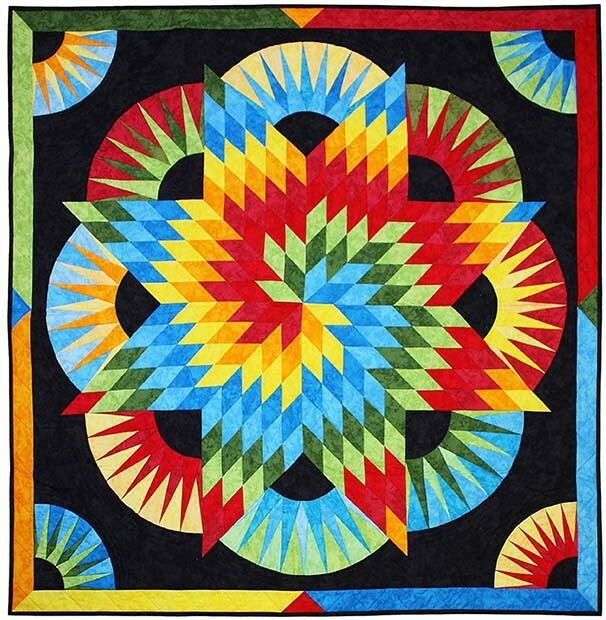 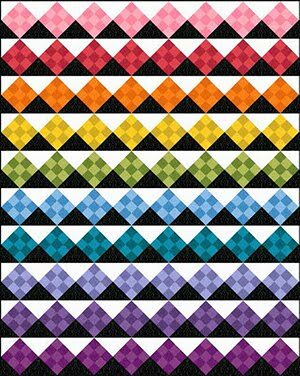 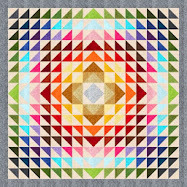 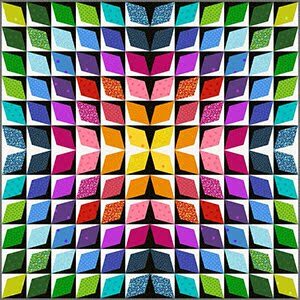 Amazing quilts!I love the pics!